If you are a fan of the most famous musical play, The Phantom of the Opera then, you should make a visit to Le Palais Garnier Opera House which also known as Opera National de Paris in the middle of Paris downtown, France. 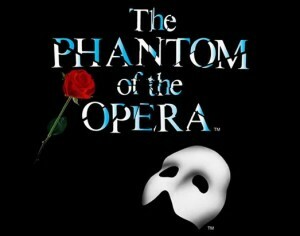 The Phantom of the Opera is actually based on a novel written by French writer Gaston Leroux which eventually adapted into a musical play by Andrew Lloyd Webber in 1986. The scenes of theatre set design of The Phantom of the Opera musical play is inspired and adapted from Le Palais Garnier Opera House. The Palais Garnier is recognized as the most famous opera house in the world, a symbol of Paris like Notre Dame cathedral and the Louvre. Le Palais Garnier Opera House is very stunning with beautiful structure, which is well worth to visit during your trip to Paris, France. You will be very amazed with the detailed artwork and statues until you can't stop taking pictures at every angle inside the opera house. You don't have to be necessarily to attend an opera show but you just need to purchase a ticket, to visit the opera house. 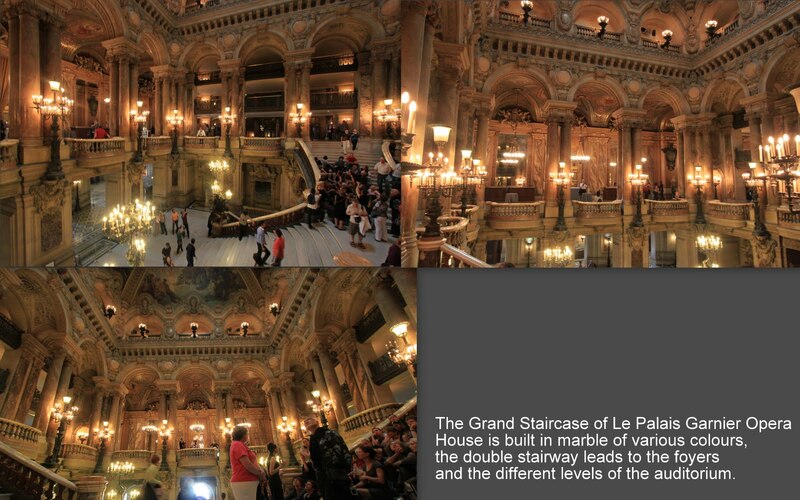 You are free to roam around and be able to visit The Grand Staircase, Grand Foyer and the auditorium. However, you might not be able to visit the main auditorium if there is a rehearsal going on. 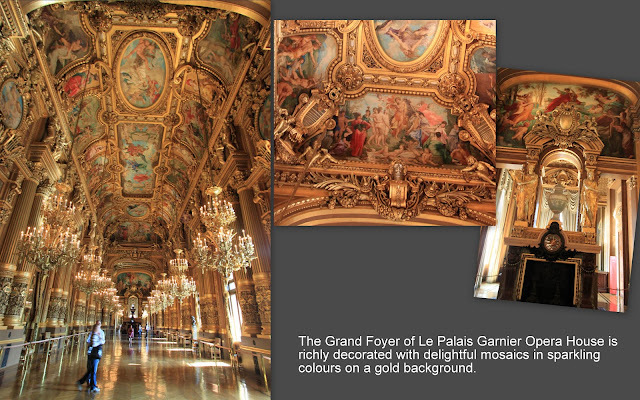 Le Palais Garnier Opera House opens every day from 10am to 5pm (last admission at 4:30pm). 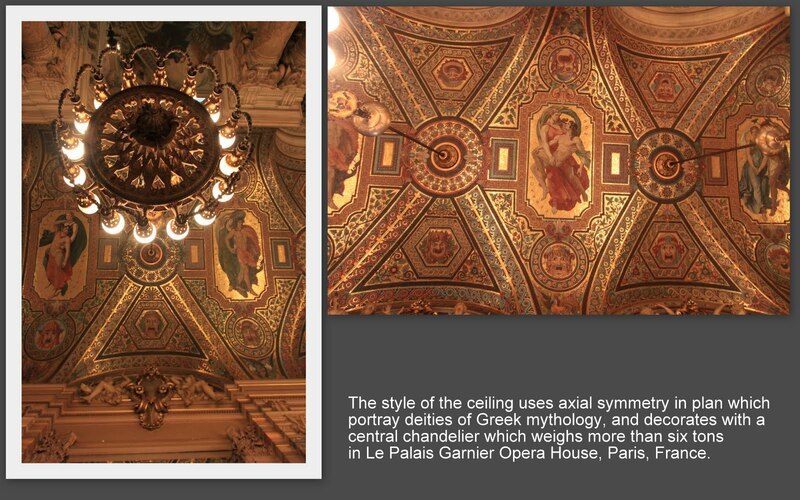 For more details of Le Palais Garnier Opera House, please visit this official link. It is not necessarily to purchase ticket online if you intend to visit the opera house only. You can purchase the ticket for visiting on the spot at the opera house. However, if you wish to watch the opera / musical show, I would suggest you to book the ticket online to avoid disappointment. Most of the time, the tickets for opera / musical shows will be sold out like hot cakes. Double click to enlarge this picture. Wow, that's a pretty stunning picture collection you have assembled for us! Shame the last picture of the ceiling is so out of character to the beauty of the whole building. I am going in Dec this year to visit it and hope to meet a french Face book friend who sang here!